A stopper with an ultra-gusto look, Alice Dellal is a Brazilian-British model. She carries herself elegantly! With her not so marionette look, she outstands with her half shaven skull. She says elegance is her natural beauty. As an edge, this gorgeous lifts her inks fairly well. Her 7 known tattoos simply add to her splendid-unconventional beauty. Let’s read and check out what they mean? On Alice’s lucky ring finger of right hand, she has got inked these triangles. A triangle is said to be as old as the inception of time. A triangle tattoo represents some holy trinity or faith as it has three corners and three sides. To be specific, it is especially seen among the followers of Christianity religion. It is more of a divine devotion symbol. Her right hand’s palm is embedded with a shark along a pair of scissors. Shark is considered as a “sacred fish” and “king of water“, thereby representing victory and top of the range power. And scissors along display a warning to cut those who try to drag you down. Cutting here is a more of metaphor, meaning maybe losing a contact with such folks. Above shown is an inverted skeleton tattoo on the inner side of Alice’s right-hand arm. 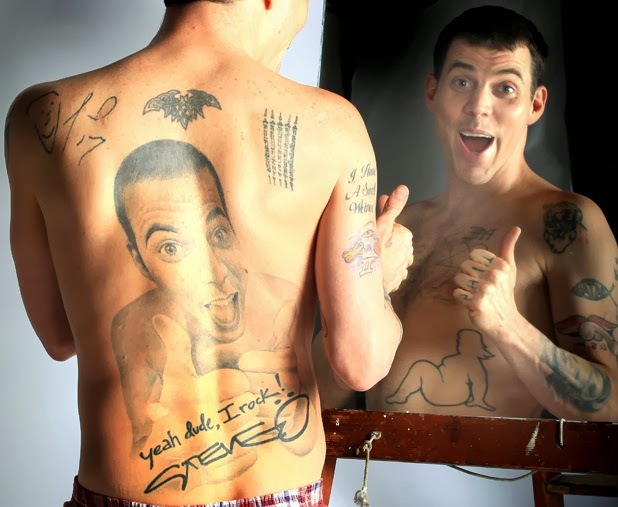 The tattoo has a cartoon skull, vertebrae, collarbones, and rib cage. This has varied meanings. For some, it’s about a culmination of life, or maybe about nodding the greatest change, also it can be seen as a celebration of life and even radical view, that wearer has no fear of death. On her left forearm, Alice Dellal has a tattoo of a bird’s skull. Done in a way of pen and ink drawing, where tiny lines are used in spite of shading, gives it a unique look. Looks like inked as “sbm 87“. We can’t be fully sure as to what it means but we are known for the fact that Alice Dellal was born in 1987. And “sbm” is somewhat used as a slang meaning “comeback”. 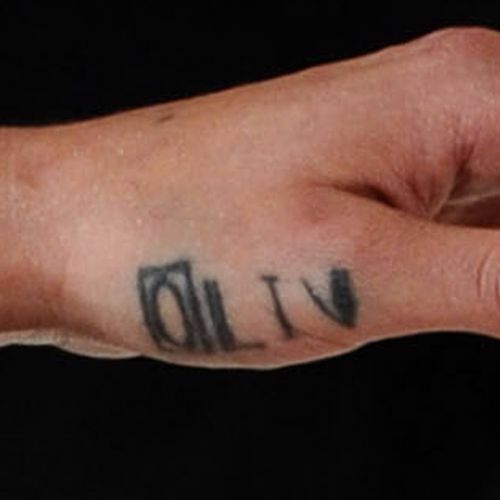 On Alice’s left-hand side, just below her thumb, we can find “OLIV” tattooed with the letter “O” surrounded by a square. Alice has a letter “L” tattooed on her middle finger. We can predict “L” being a commoner in her first and last name. 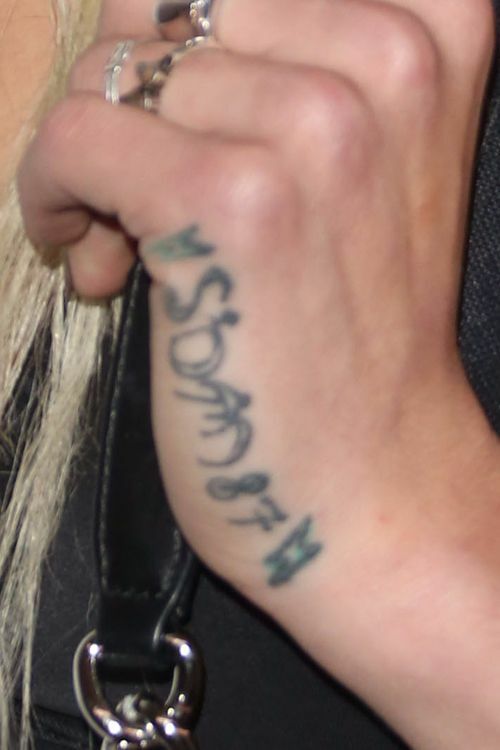 And on her 5th digit, we can see “DC” inked one above the other. This apparently shows her love for her sister, since we perceive it as a combination of her name with her sister’s, that is “D” of Alice Dellal and “C” of Charlotte Olympia Dellal.